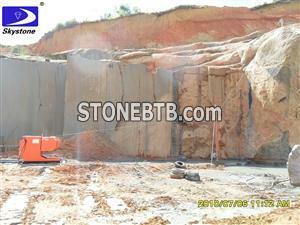 Skystone Diamond tool company was founded in 1992, Quanzhou city, Fujian province. In 2003 the company headquarter was moved to Fuzhou High-tech area. During more than 10 years development, we continuously strive to technology innovation and strict quality control, gaining much experience in diamond tools production. Meanwhile, we have trained many creative researchers and company managers with innovation spirit. We began to research diamond wire technology in 2000. After years of hard working, we succeeded in making high quality diamond wires. What's more, we have our own special advanced technique for diamond wire muanufacture. Until now, we have a complete series of diamond wires as quarry operation, blocks dressing and cutting, multi-wire cutting, special shaping cutting and concrete building cutting etc. 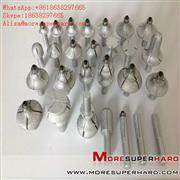 Used in granite and marble, vacuum brazed diamond tools, have long life and high efficiency.